This beautiful drawing is too much for me – I know it will be finished in your, as always, fine style! Maybe there is something symbolic in the difficult gestation … there is a sense of longing for the birth. Often the ones that are hardest to produce give us the most satisfaction in the end, just like babies! Your subtle toning and fluid linework is lovely. This is incredible, Veronica. The paintings I like best always go through a long phase of “What in the world did I do?” But really, it has a great impact. Would love to see you work in person. 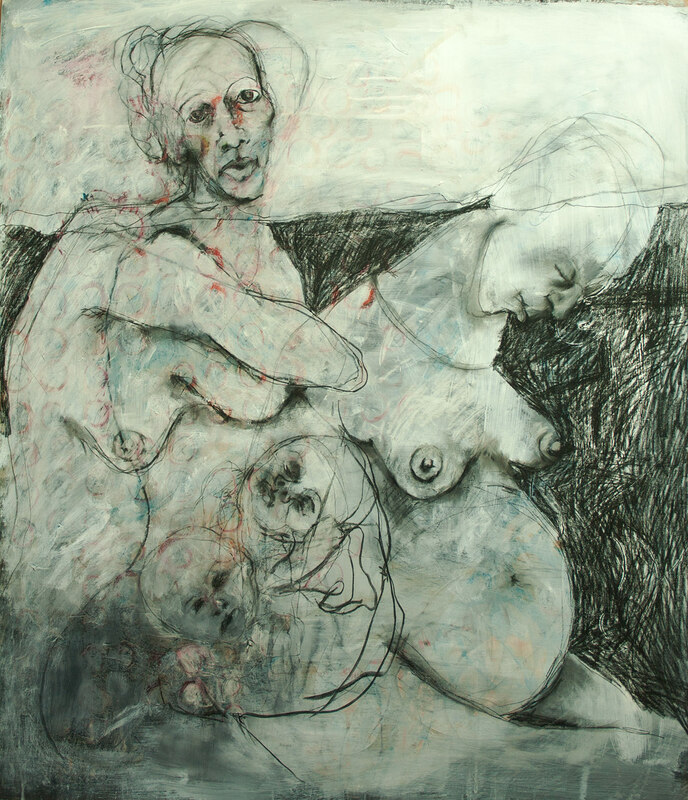 This is really an amazing work that captures the symbiotic relationships of mother/child, twins, and various emotions. A really remarkable image. Thanks Sarah – yes I am still in that ‘what in the world’ and starting another fills me with fear. There are often many points along the way where I don’t have a clue how to progress something – but I am learning more about myself and the process everyday. Can’t wait to see this finished. Sometimes you just need to let the drawing go where the drawing is going to go. Sometimes it’s really easy to get in your own way. thanks Kelly – yes you are absolutely right and I am often in my own way – it really hasn’t changed much from the image above and I am just letting it sit.